Songs of Resistance is the fourth record (2017) from the Madison-based Americana outfit, The Whiskey Farm. 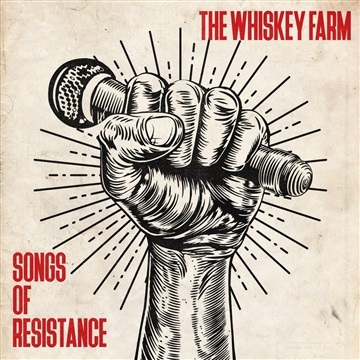 The Whiskey Farm has a history of writing protest songs, but this is their first album exclusively dedicated to social and political issues. All tips from downloads of this album will be donated to the ACLU of Wisconsin. So have a listen, and join the resistance!